GoBe have a team of experienced GIS professionals capable of providing innovative solutions and expertise to projects which involve the collation and dissemination of spatial data. Staff are skilled at data visualisation and figure production and often utilise bespoke tools and scripts to efficiently perform complex analysis tasks, such as multicriteria analysis for site selection studies. 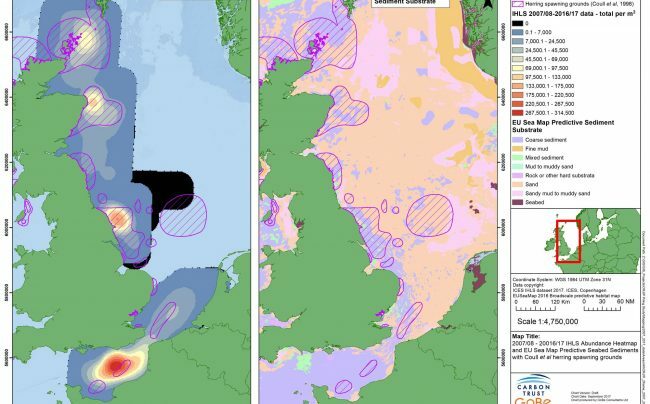 Along with providing data management services which meet industry standards, GoBe also maintain an extensive library of spatial datasets collated over years of working with both onshore and offshore environmental and survey data. With a thorough understanding of data formats, metadata processes and industry requirements GoBe are able to offer a GIS service which meets the needs of clients involved in a diverse range of projects.